Working with your Independent Mortgage Planner can save you thousands of dollars by making the most of your variable rate mortgage in a shifting market. 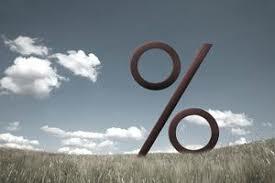 In the past year we have seen an increase in the prime lending rate by 1%. For those home owners with variable rate mortgages who secured a low discount, savings can be gained moving to a new higher discount variable mortgage rate even if prime is higher than before. Consider this. Ed and Anna refinanced their mortgage in 2016 at prime minus .15% (2.55% at the time). The original mortgage was $556,000 with payments of $2206 per month. Since the prime lending rate has moved up the new effective rate is currently 3.55% (3.7% minus .15) with a payment of $2442. Of that payment there is $1533 per month in interest and $909 goes to principal pay down. The current best rate is 2.75% (3.7% minus .95) so the new payment would be $2233 per month. Of that payment $1194 per month in interest and $1039 towards principal pay down. If Ed and Anna choose to switch their mortgage to a new lender at the better rate in the end their payment is lower by around $100 and they save $340 per month in interest. They also have that bigger rate discount of .95% for the next 5 years so it puts them in a better place as rates move. Even with the penalty for early pay out the savings is still thousands of dollars over the next term in their mortgage. Consider making the most of your variable rate mortgage — give me a call or send me an email to set up a no-obligation consultation. If I can save you money — the call was time well spent.